This is a working council that promotes networking and education for professional women and women entrepreneurs while highlighting the women leaders in the community. The group holds four events per year, including: two Educational Lunches, the Annual Tea in August, and the Annual Woman of the Year Awards Luncheon in November. 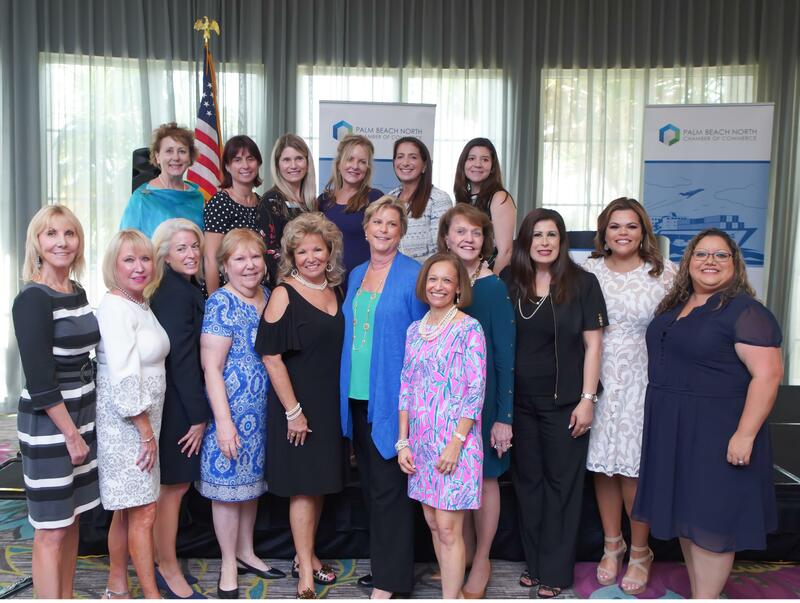 The Women in Business Council continues to be dedicated to bringing educational and enlightening programs to female professionals in Palm Beach North. Their Woman of the Year Award event in October is to recognize a woman in the community who demonstrates leadership and has positively impacted the growth of the Palm Beach North community. Nancy Mobberley, Financial Investment Network, Inc.
Emily O’Mahoney, Gentile Glas Holloway O’Mahoney & Assoc. Scheduled bi-monthly by council members. Council membership is by invitation-only. The council is limited in size to 25 members with a maximum of 3 consecutive years.